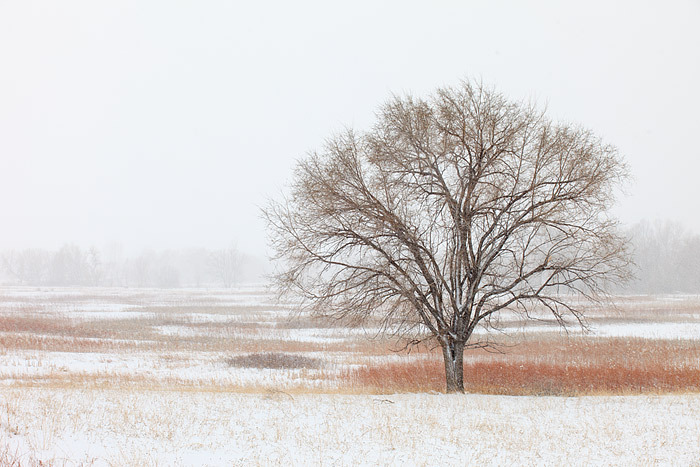 A lone Cottonwood tree endures a winter storm enveloping Boulder, Colorado. Grasses in the meadow along Bobolink, still hold onto their Autumn color and add some pop to the monochromatic scene. The meadow along Bobolink sits on Boulder County Open Space and Mountain Park's property. Photo © copyright by Thomas Mangan.